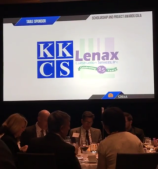 On April 26th, LENAX attended the 2018 CMAA 26th Annual Scholarship and Project Awards Gala. 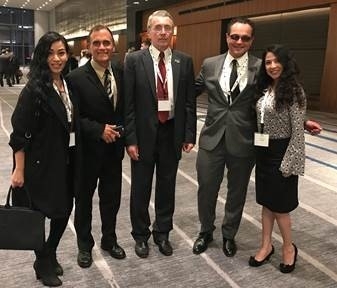 Throughout the year the Construction Management Association of America aka The CMAA brings together different Construction and Program Management teams. These teams often combine forces and together build the projects which make up our wondrous communities. From superstructures to road upgrades and extensions, these management teams consist of specialty roles such as cost estimators, project managers, geotechnical and environmental sciences consultants, just to name a few. 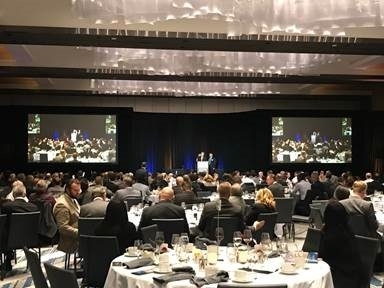 When synergy is released into a work of art that lives and breathes because of its creators, there is no wonder for events like the 2018 Annual CMAA SoCal Chapter Scholarships and Award Gala. This annual event not only honors awardees of nominated projects with beautiful accolades, but the interns and students who are recognized by the industry also get their share of the lime light. 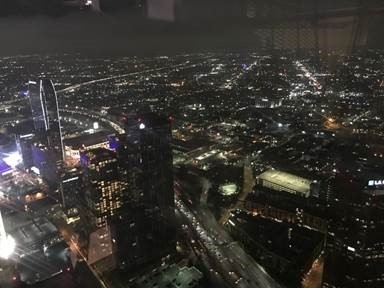 The 2018 Annual CMAA SoCal Chapter Scholarships and Awards Gala was held at the beautiful Intercontinental Hotel in Downtown Los Angeles. 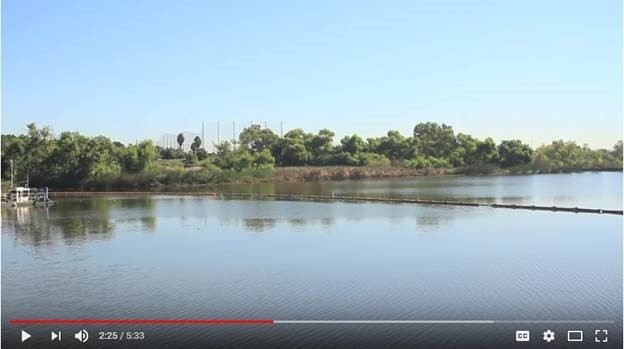 The winner for the 2018 Project Achievement of the Year Award went to the Machado Lake Ecosystem Rehabilitation project by the City of Los Angeles and Arcadis for Construction Management. Once filled with debris from people dumping in the lake, homeless encampments, two abandoned vehicles, snapping turtles, black snakes, and even a rogue alligator named, Reggie, the $111 million dollar project has been deemed a “Reborn Oasis” by the Daily Breeze. Other project achievement award winners and partners’ award winners were in four other categories: Transportation, Education, Public Works, and Transportation-Infrastructure Projects. Projects ranged from $10 million to over $100 million. Having been in the industry for well over 25 years, LENAX understands the hard work each individual contributes to every project. We recognize them and celebrate them. Since 2016 corporate-sponsored scholarships have been matched by the CMAA SoCal Chapter Foundation and awarded to deserving students. Overall, the turnout was a great event with an evening filled with industry like-minded support from all in attendance. 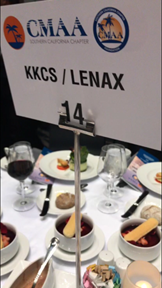 LENAX was honored to co-sponsor a table with KKCS and share with our good friends at JACOBS and Triunity. Congratulations to all the project awardees and scholarship recipients! 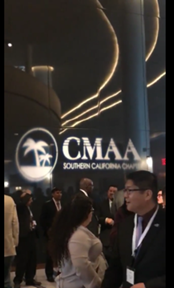 Great job to CMAA for another successful event!